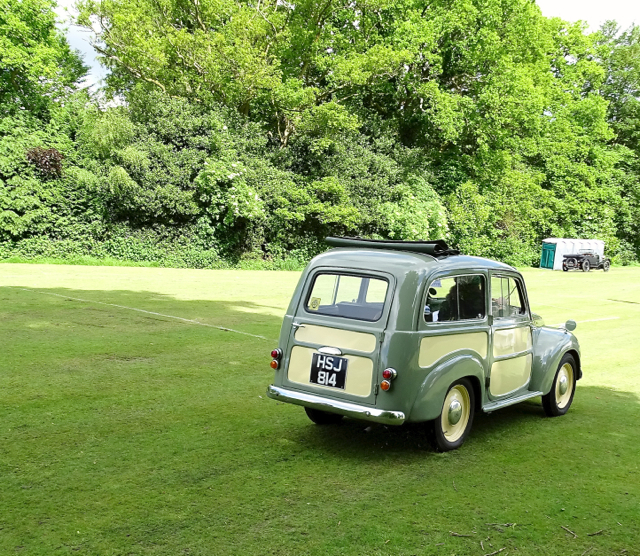 Don’t panic Mario still has four wheels firmly on the ground but last Saturday James took to two wheels for the first time since he was old enough to have an engine under him! 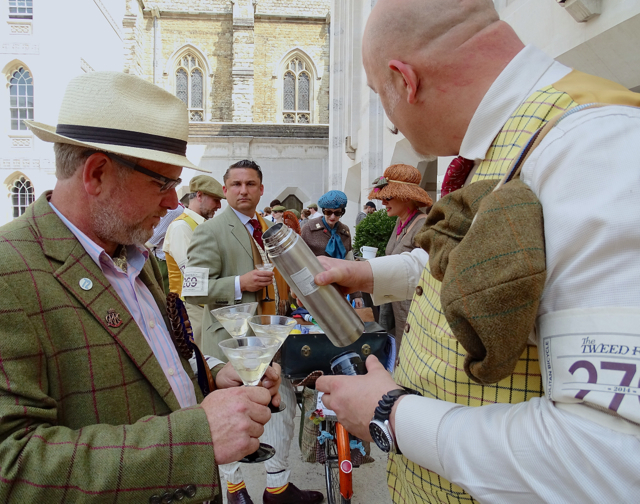 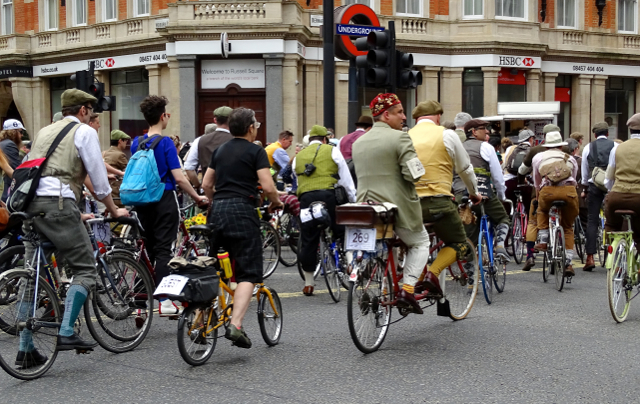 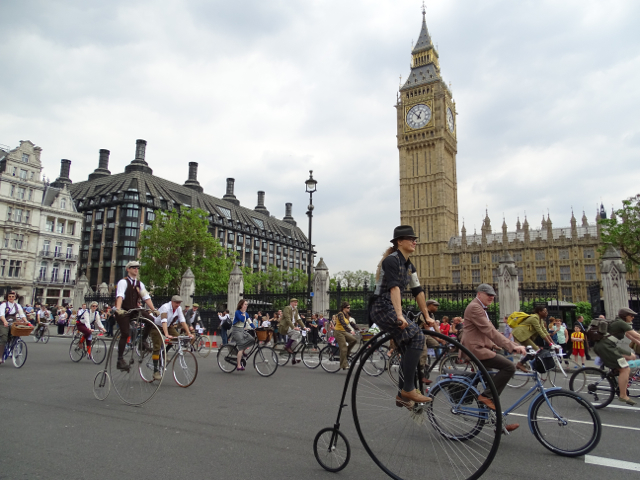 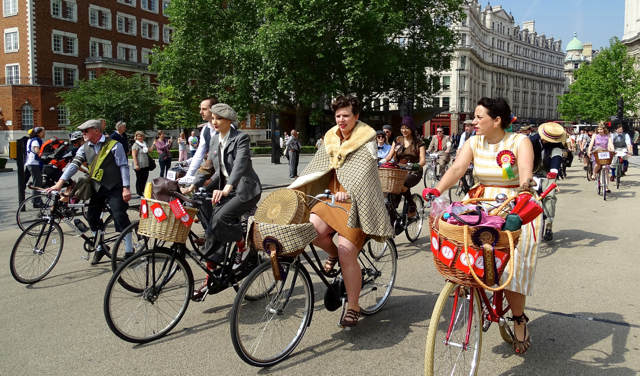 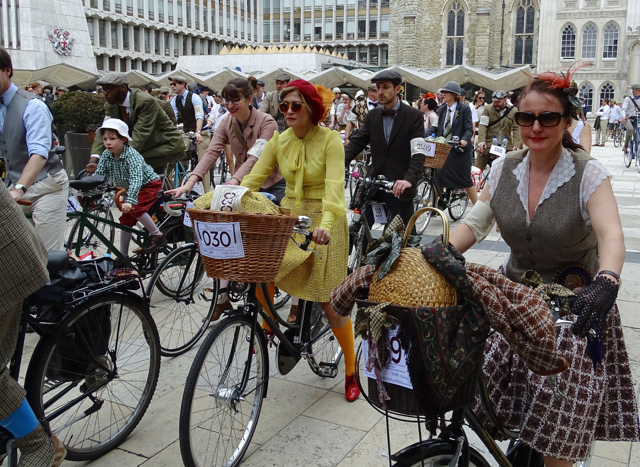 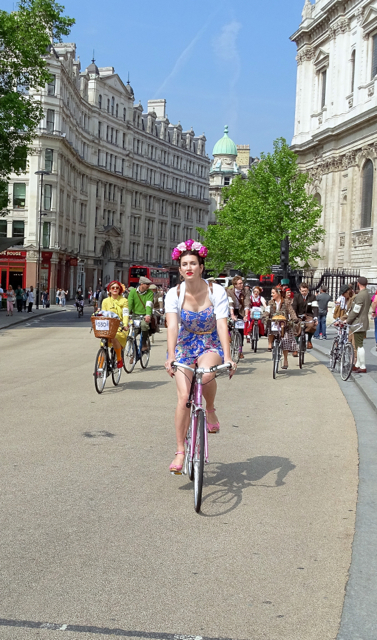 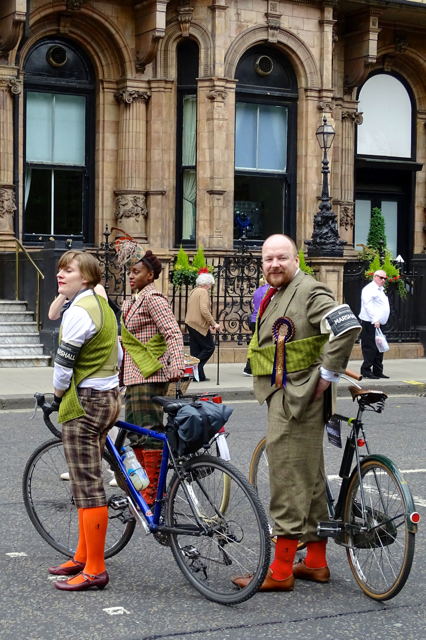 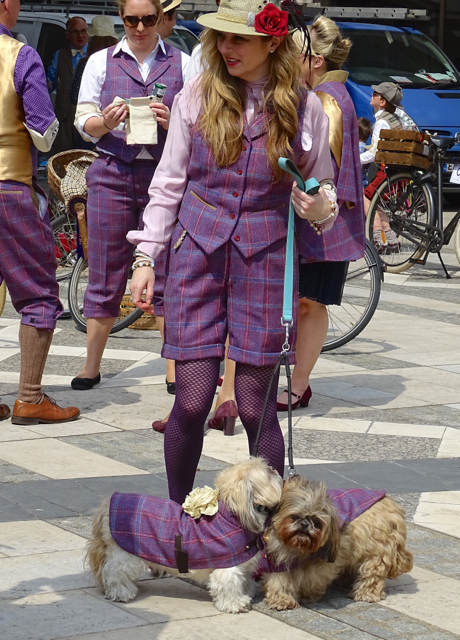 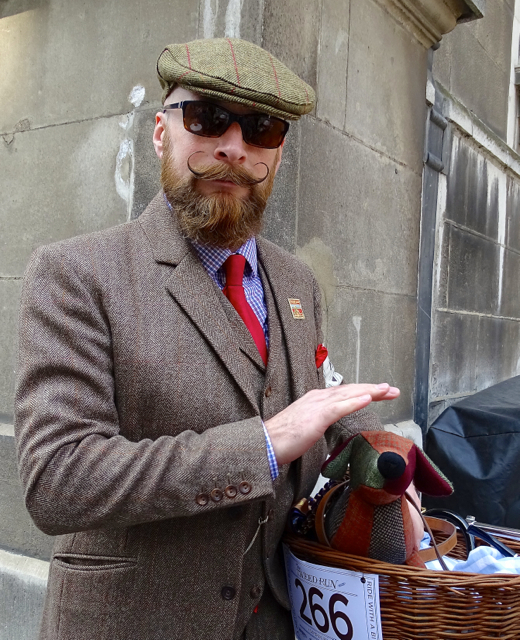 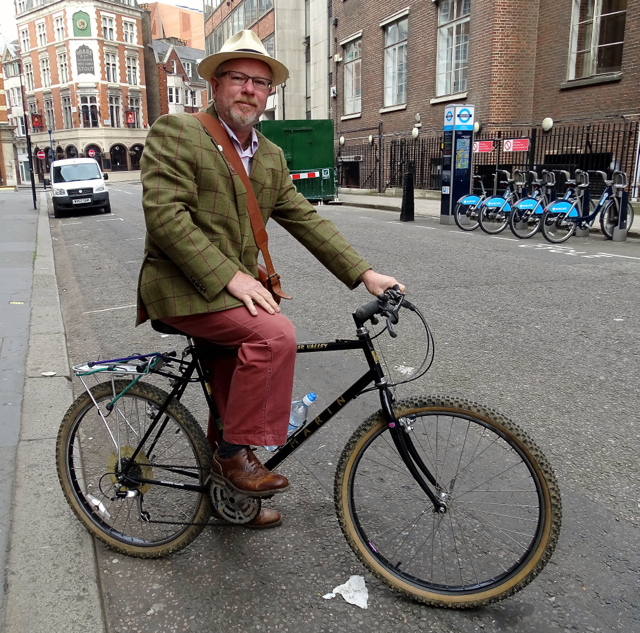 The event was the 2014 running of the Tweed Run – a metropolitan bike ride with a bit of style. 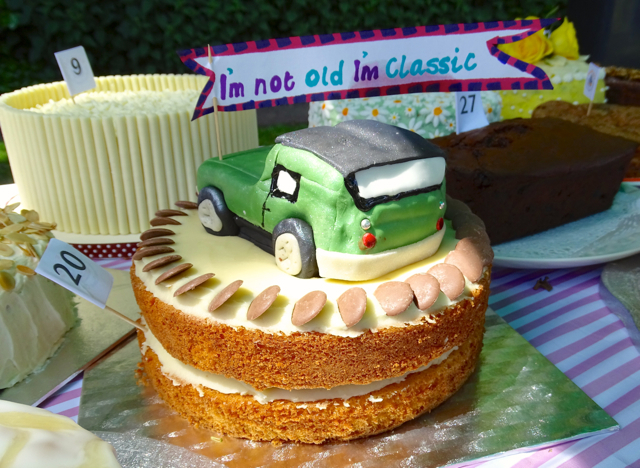 James was given a entry for his ‘big’ birthday and I went along in capacity of team photographer. 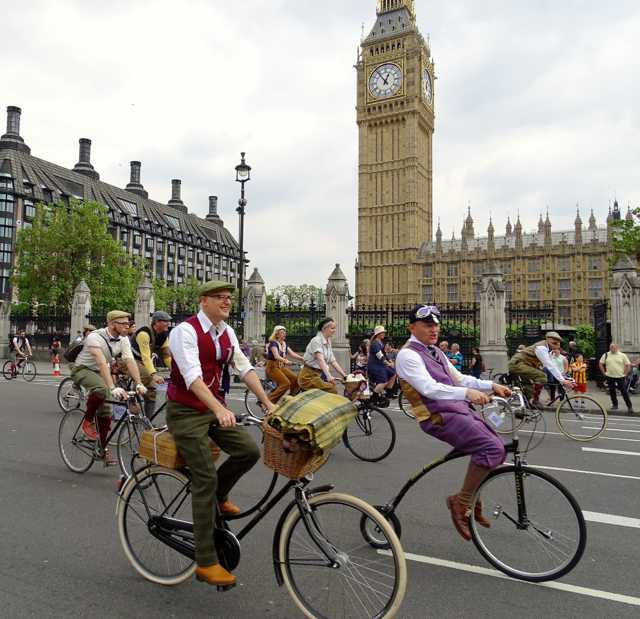 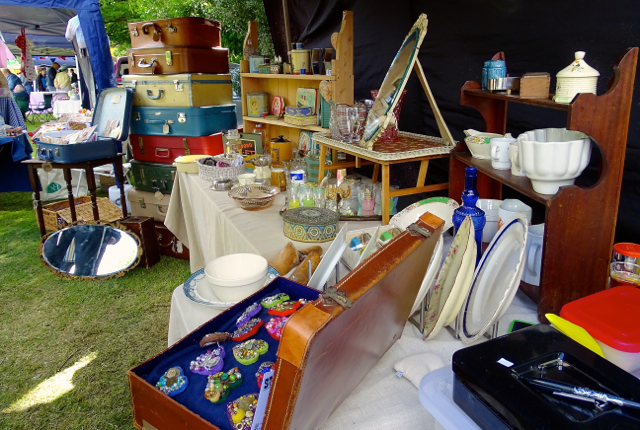 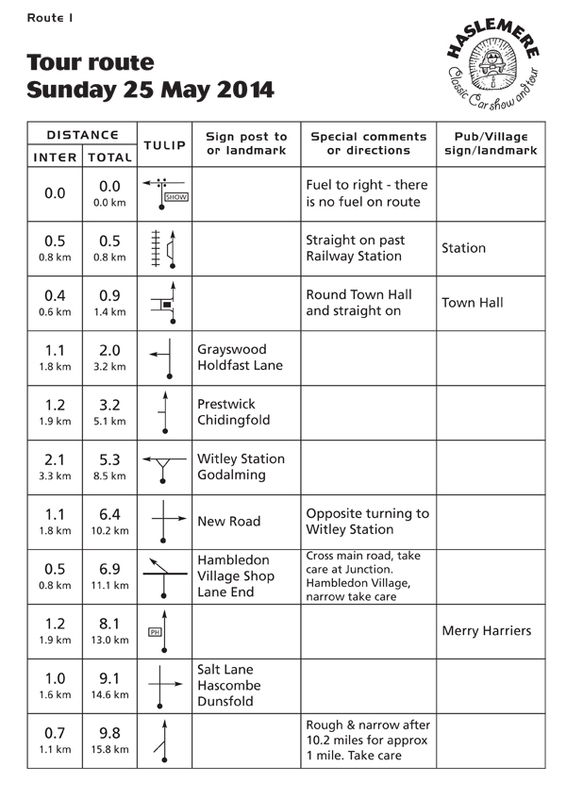 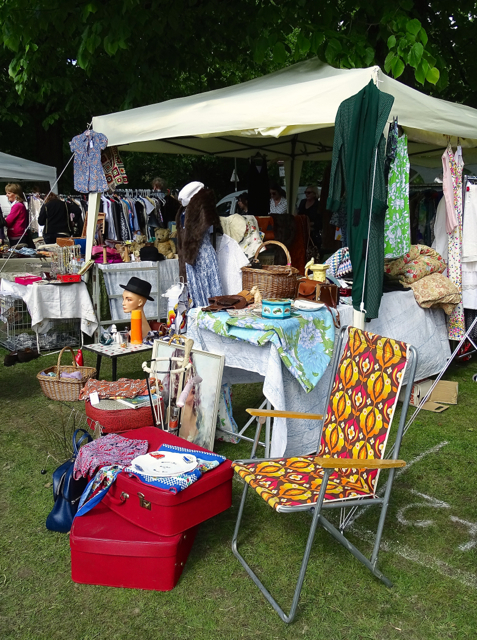 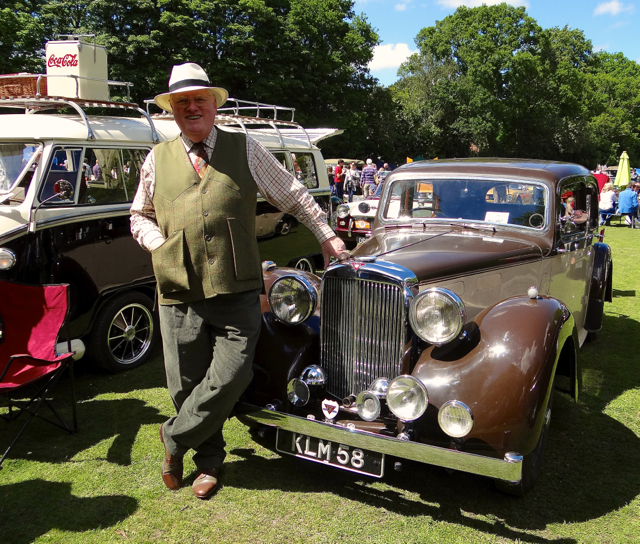 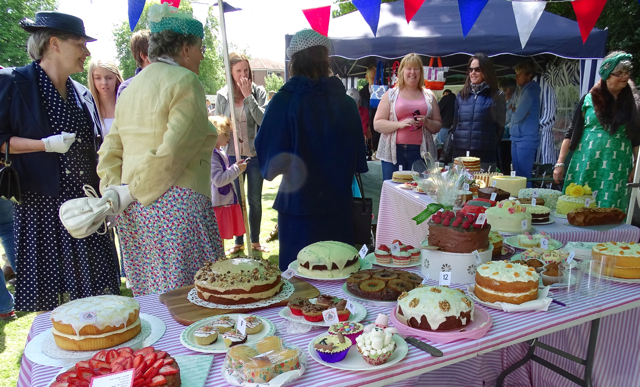 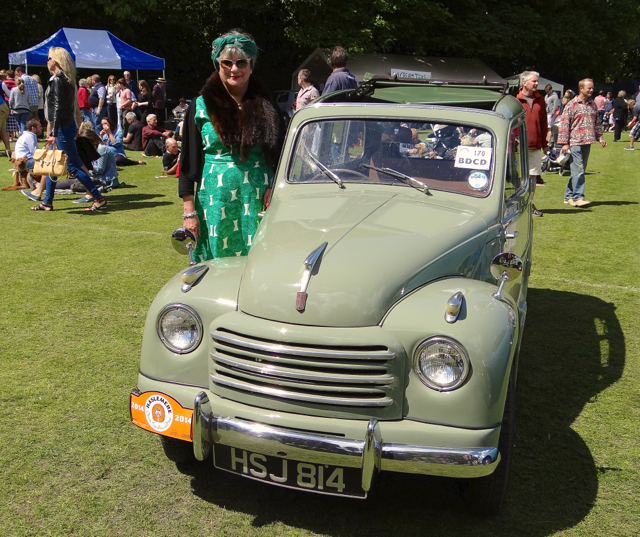 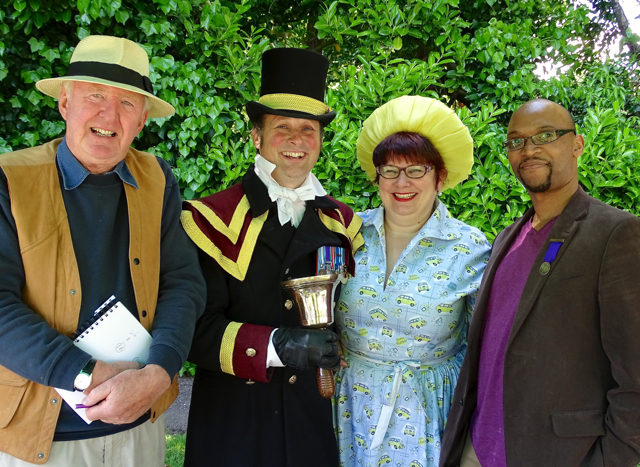 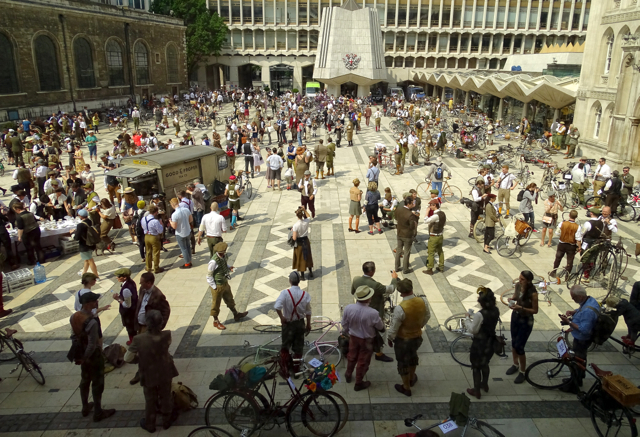 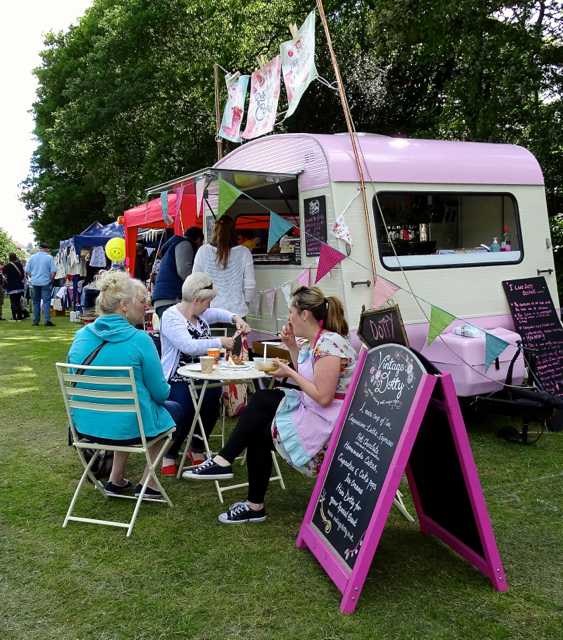 The event is now in it’s sixth year and involves 500 people dressed in period tweed, cycling around ten miles or so round the capital on vintage bicycles with various stop offs for tea and picnics. 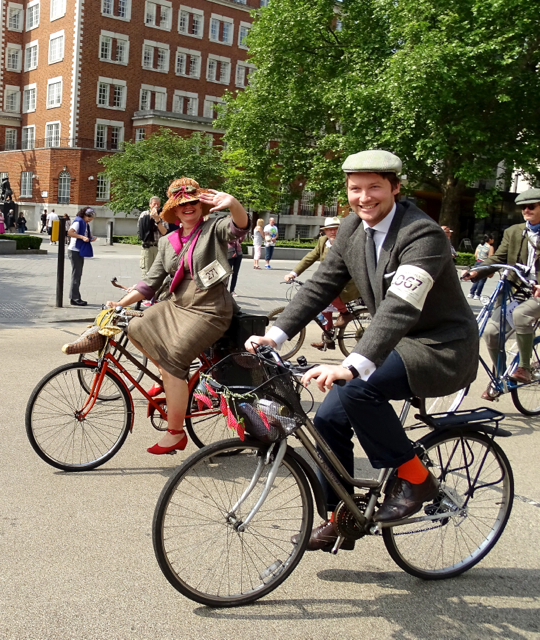 All jolly good fun, the route is a closely guarded secret and although now an official London Event with sponsors and lots of press coverage, it is still run in a slightly ‘guerrilla’ style with groups of suitably clad marshals riding ahead of the pack blocking the traffic, temporarily ‘closing’ the roads to allow the run to pass through. 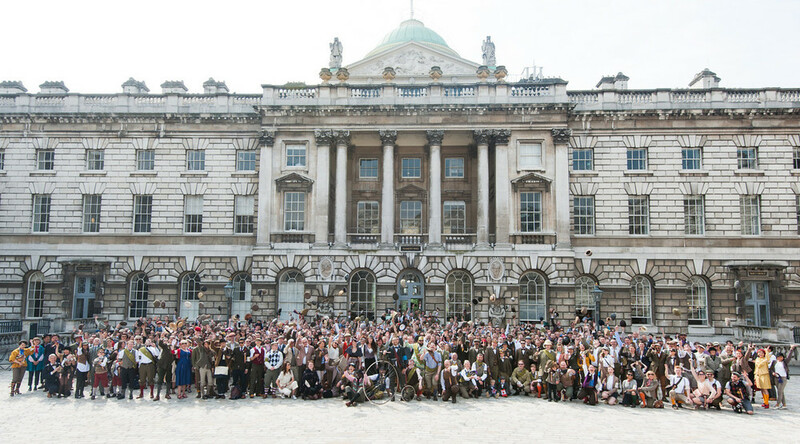 This years route started at Somerset House although I have no pictures from there as I was still trying to park the car, a total nightmare with city roads empty and loads of spaces but none with the right combination of time allowed and cost. 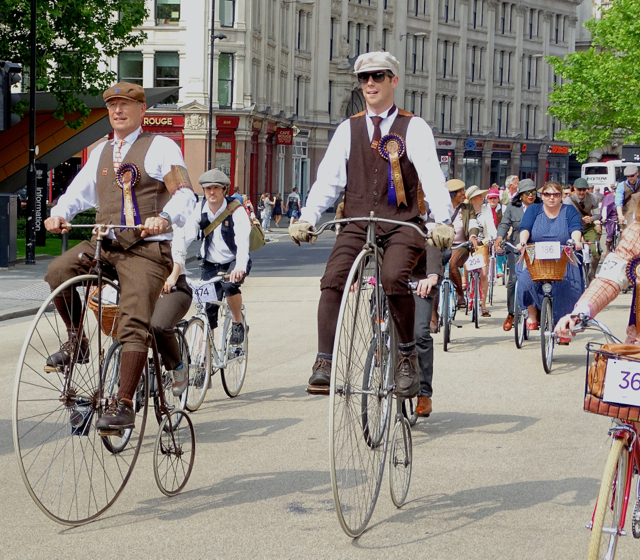 Having turfed out James and his bike earlier so he could make the start time and finally finding a suitable space I then had to download an App and register so I could pay! 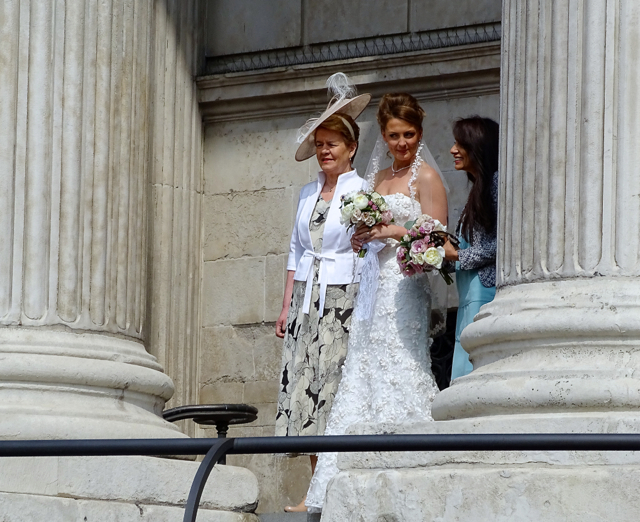 I finally caught up with them at St Paul’s Cathedral where a bride came out onto the balcony to watch the run come past. 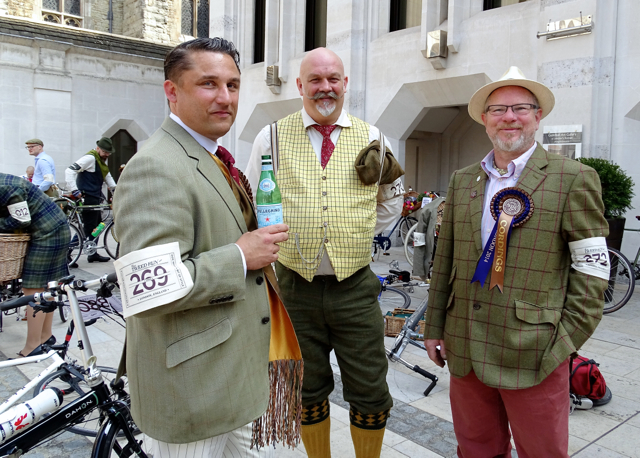 A quick dash round the corner to the Guild Hall for the first stop of the day and my first chance to catch up with friends Mark and Marge Elliott and Richard Sherwood all looking fabulous and tweedy with their trusty steads. 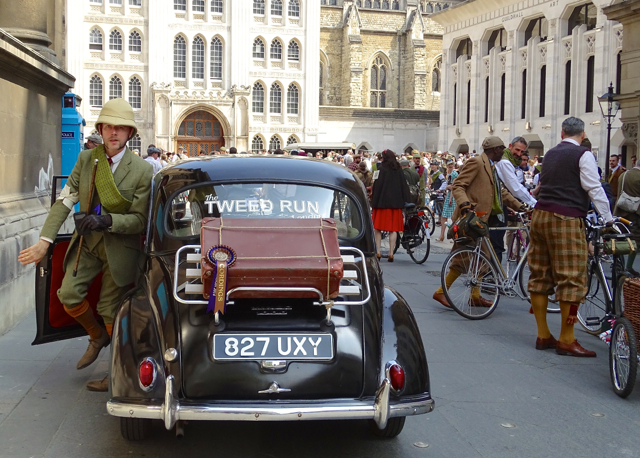 Marge (aka Tweed Queen) had dressed her bike beautifully complete with one of her Tweedidermy Trophy Heads. 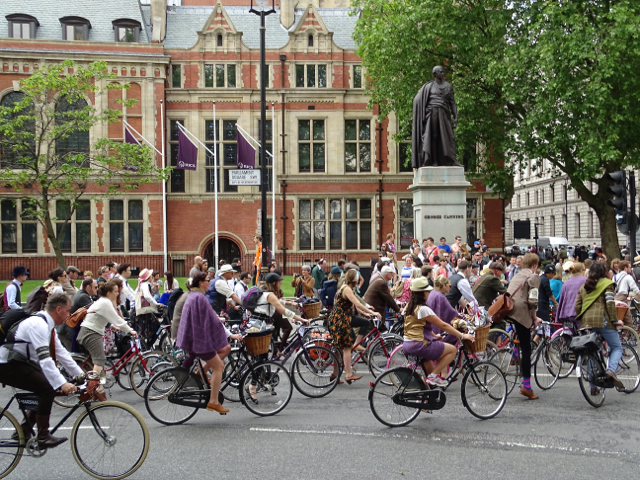 The assembled crowd all looked wonderful although with maybe a little less heavy tweed than usual given the mid 70ºs temperature. 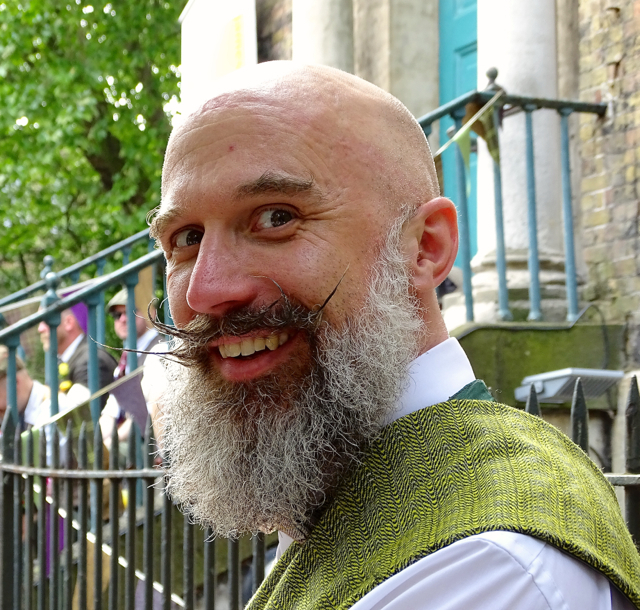 There was still of course many excellent displays of sculptured facial hair. 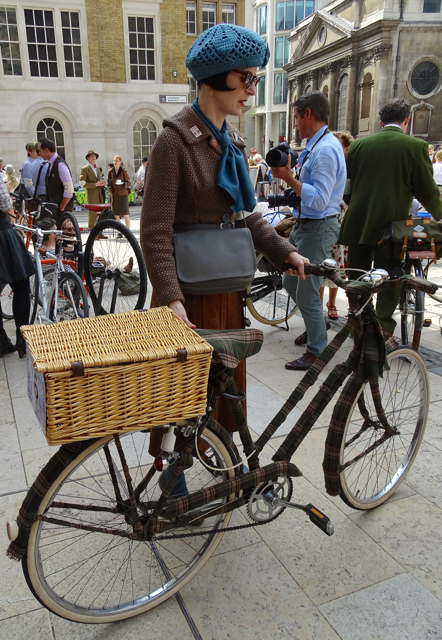 Marge’s bike was of course fully equipped with a cocktail bar so it wasn’t long before the Martini’s were served. 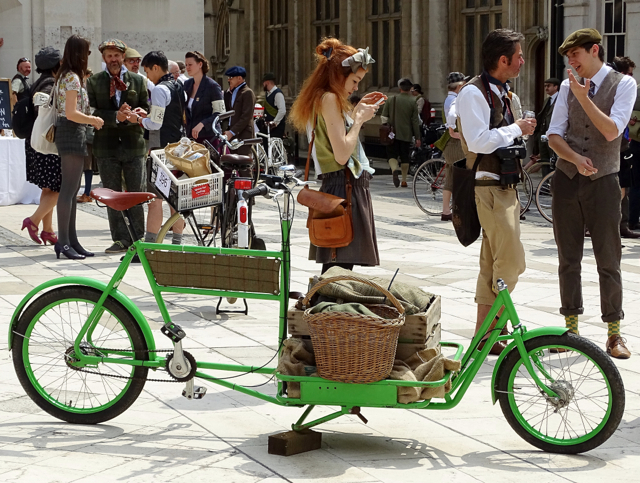 Maybe Mario could be a support vehicle? 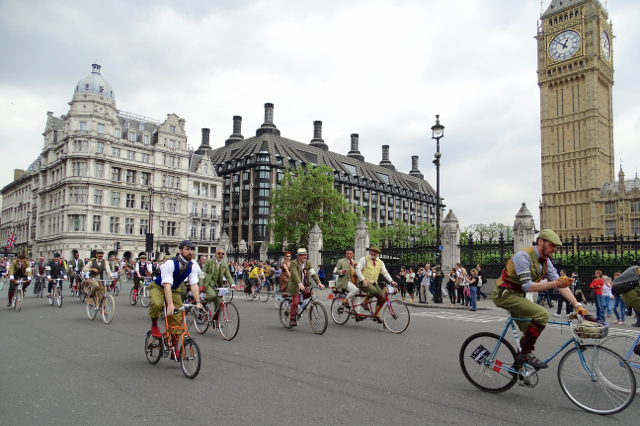 As the participants headed off towards London Bridge and Borough Market before crossing the Thames again at Westminster, I hopped on the tube and waited for them in Parliament Square. 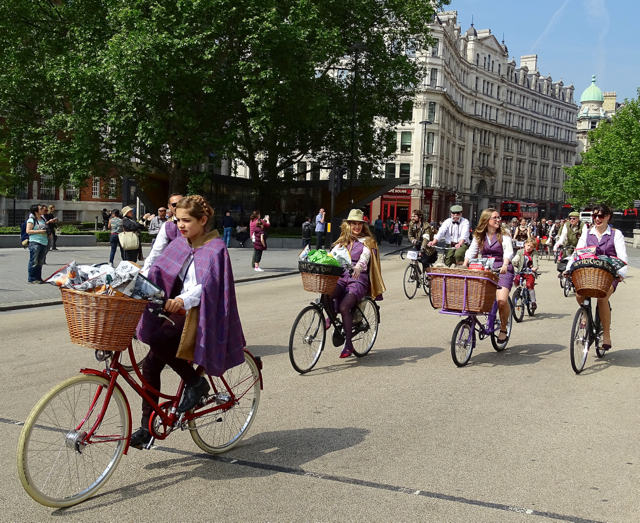 As they entered the square another modern cycle ride was leaving Whitehall for Westminster Bridge, the cheering was deafening with the Tweed Runners cries of Tally Ho and the ringing of bicycle bells competing with the hooting traffic as the area was pretty grid locked. 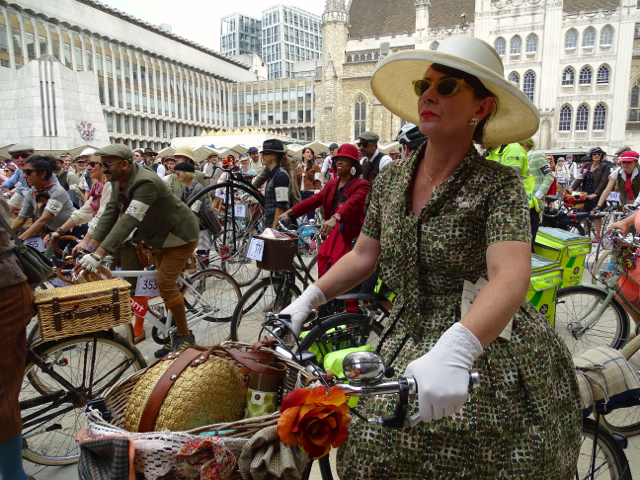 Bikes of all shapes and sizes from Penny Farthings to delivery bikes, tandems and regular vintage bikes with a selection of baskets, flowers, dogs and tweed covering as accessories streamed into the square to the delight of the watching crowds. 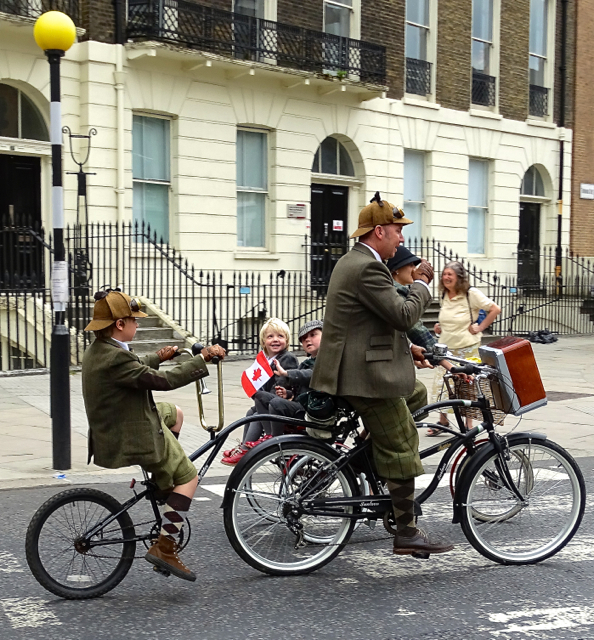 Many had children along, either on their own bikes or riding various contraptions attached to their parents transport. 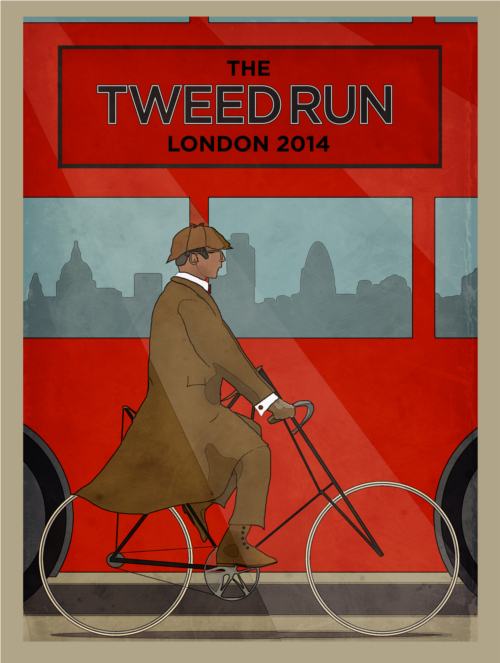 The route then proceeded up the Mall past the Palace via Burlington arcade to Saville Row the London home of tweed. 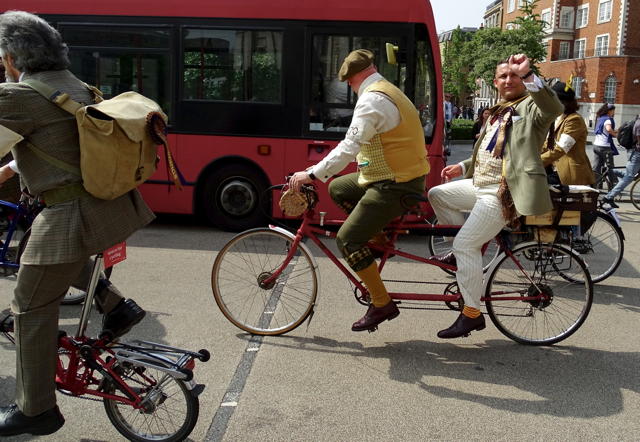 Unfortunately public transport on a busy Saturday is much slower than a bike so I only caught up with them again at Russell Square where the infamous Tweed Run picnic was taking place. 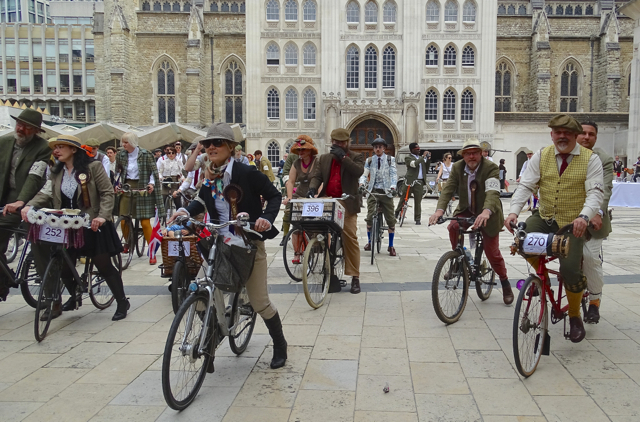 A welcome glass of bubbly and a ‘cheesy moustache’ was most welcome, my charging around following the route appeared to be fair more exhausting than a gentle cycle ride through the city streets. 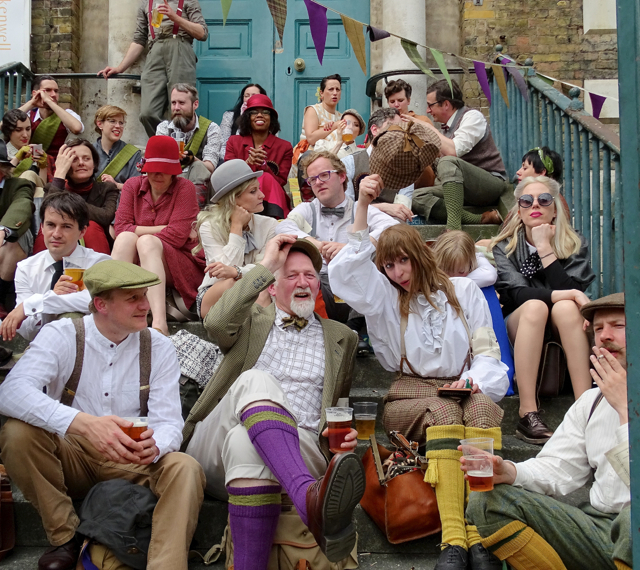 The final section was a gentle run to Clerkenwell Green where the event finished in the grounds of the church and the celebrations carried on into the evening at the Three Kings. 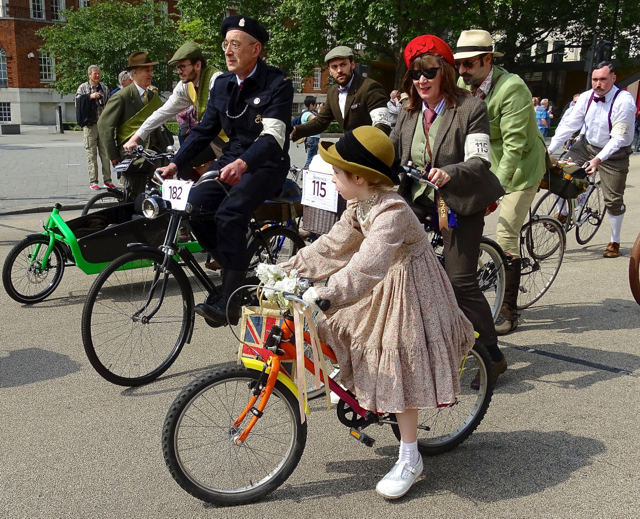 A jolly spiffing event and one which I’m sure we will try to do again, although I feel that Mario may just have to acquire a two wheeled ‘female’ sibling! 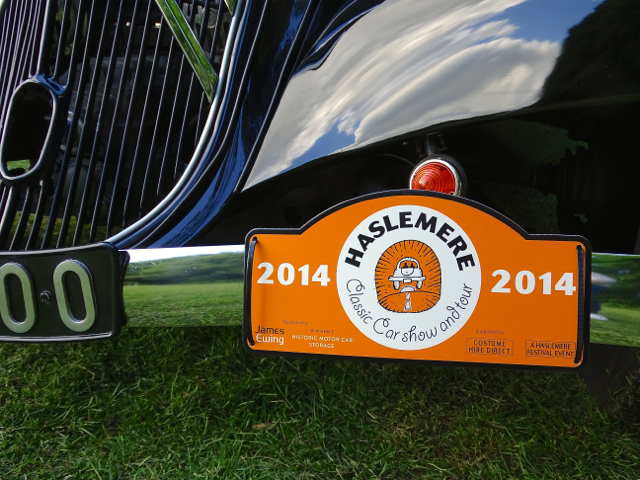 This morning was the first Goodwood Breakfast Club of 2014. 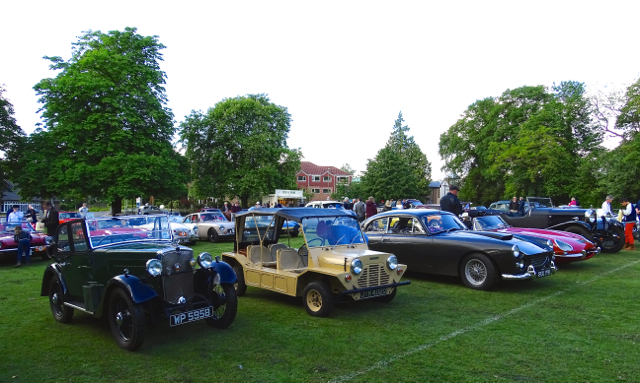 Rather later in the year than previous, due to the 72 members meeting being held in March. 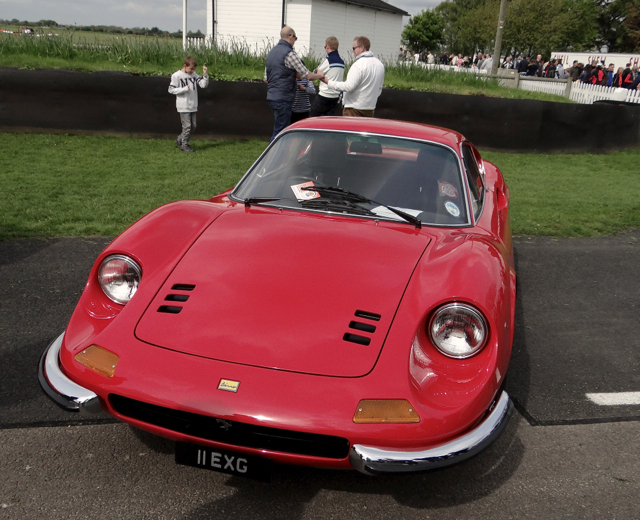 The theme was Supercar Sunday, normally one we try to avoid, personally not having much interest in the subject matter and it is always so busy. 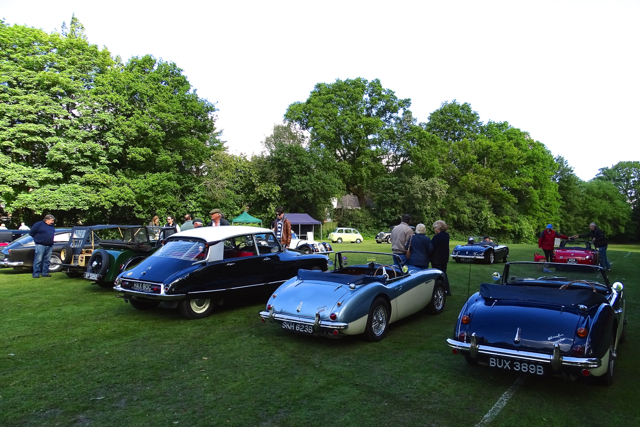 However this was the only BC before the car show we organise so in the spirit of marketing (handing out leaflets) we decided we’d better make an effort. 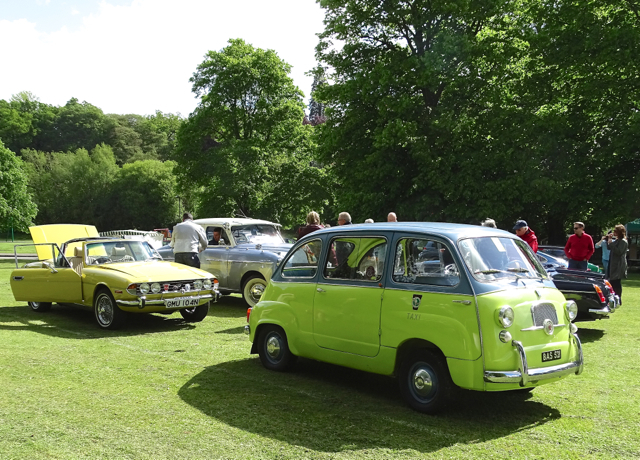 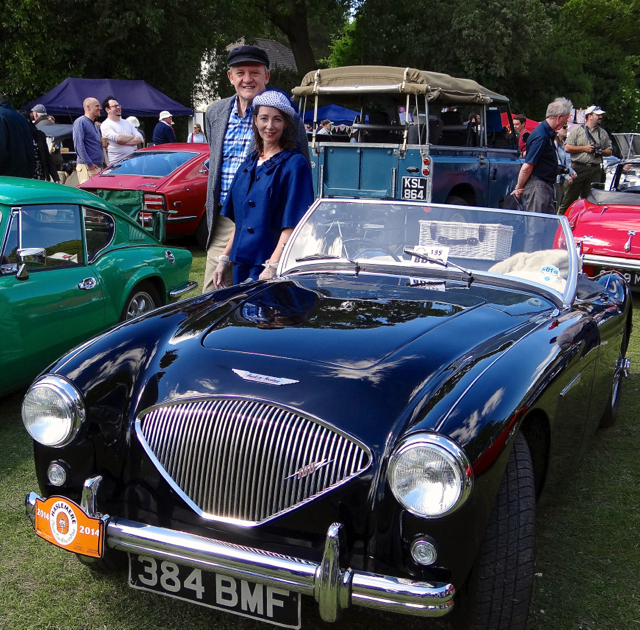 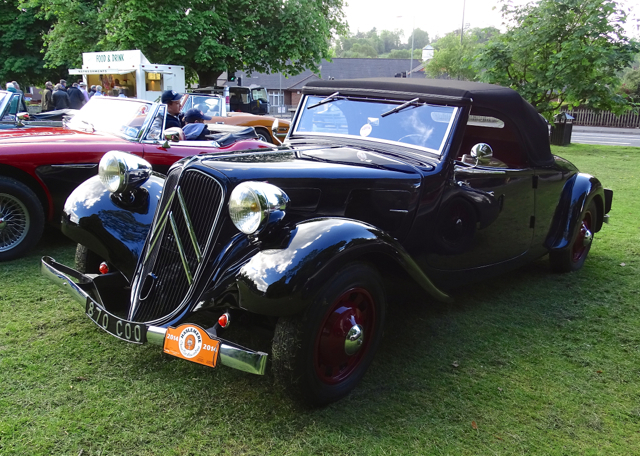 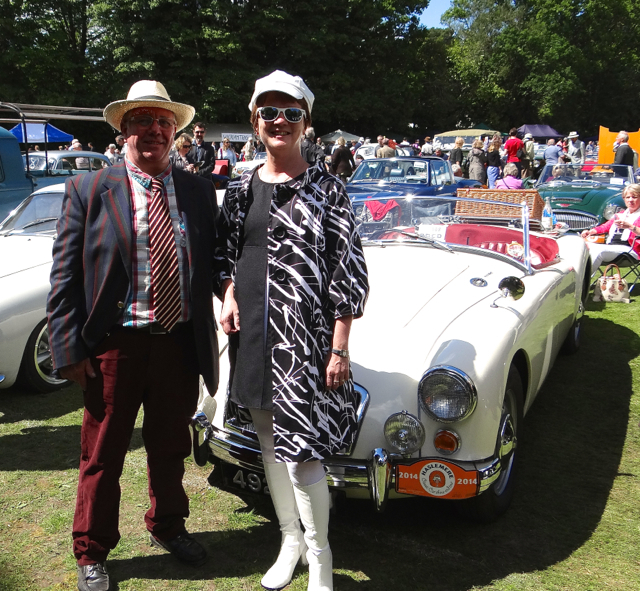 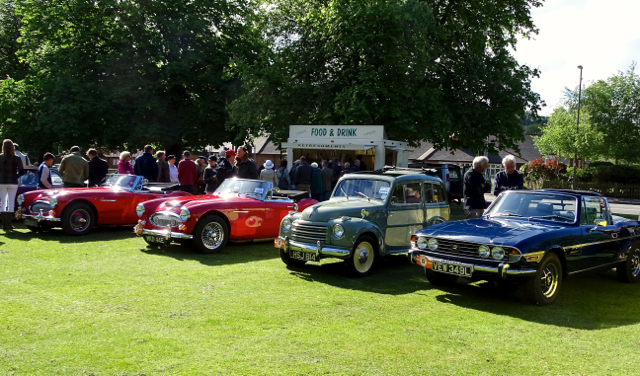 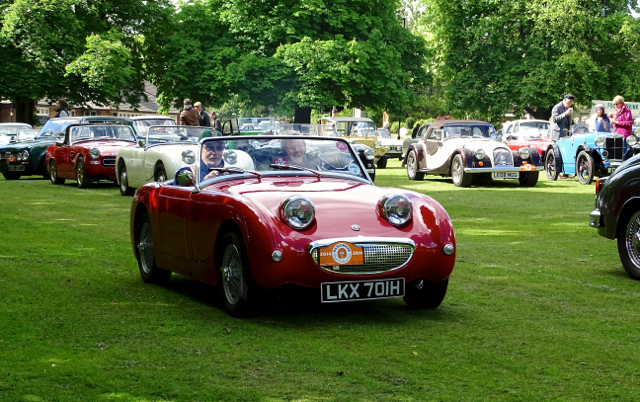 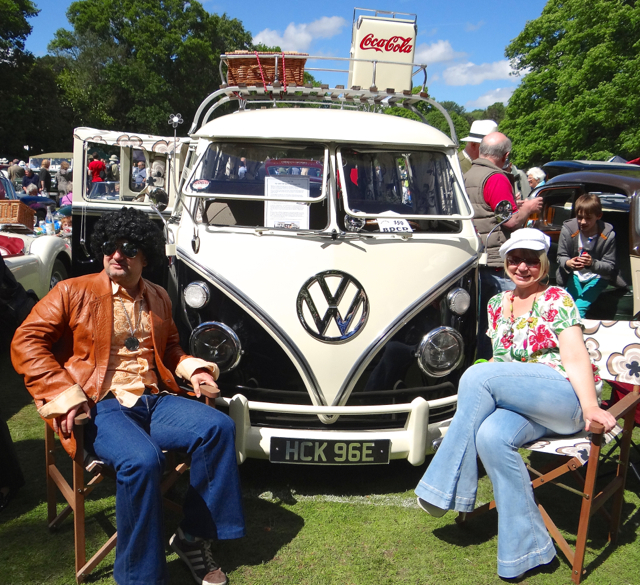 Although many of the attendees arrive at ‘stupid O’clock’ in the morning, we left Haslemere at a much more leisurely pace and had a lovely sunny drive over the downs to the Goodwood Motor Circuit. 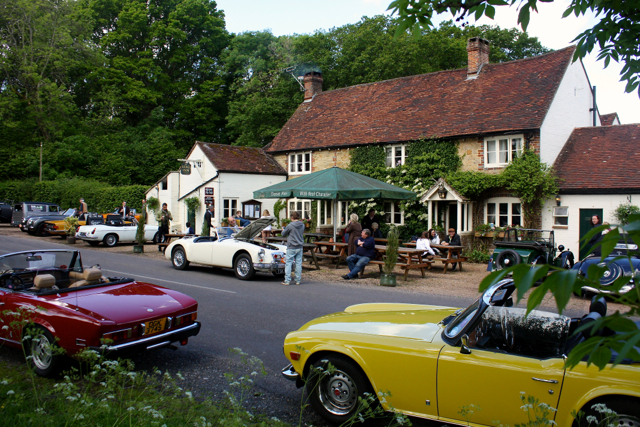 Being a bit later we didn’t have our usual ‘super traffic jam’ behind Mario but we did see several cars making their way back northwards, amazingly between Midhurst and Goodwood we saw 5 Ferrari 360 Challenge Stradale’s, so hardly unusual! 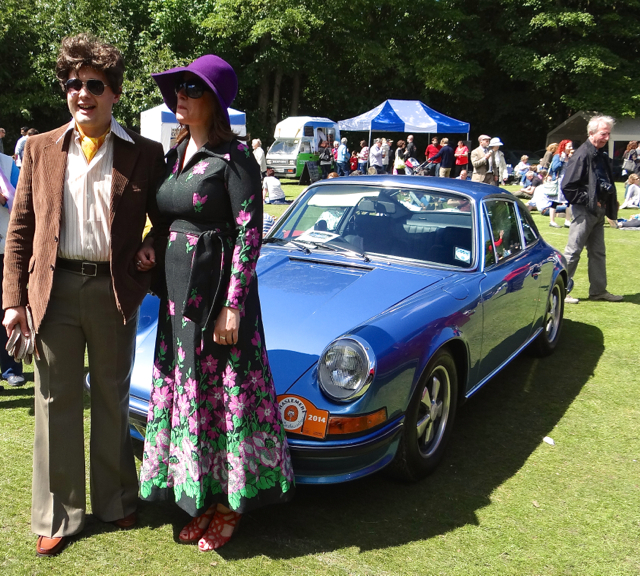 Although we and many of his fans consider Mario to be a ‘Supercar’, for once we parked in the public car parks, a bit of a shock for Mario but we left him in a very prominent position covered in posters and fliers advertising the forthcoming Haslemere Classic Car Show – if Mario didn’t attract attention, nothing would! 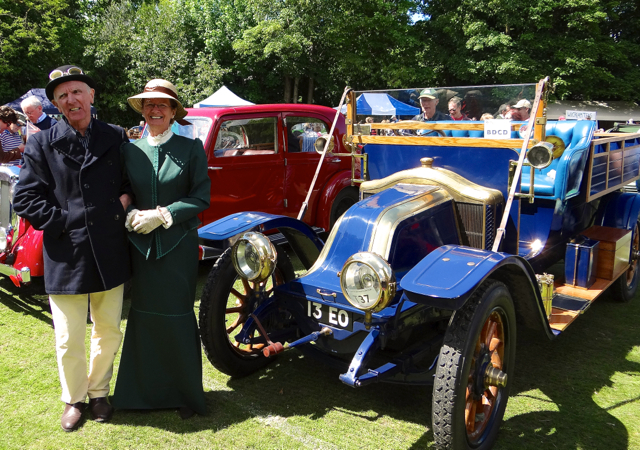 With the factory just down the road there was a smattering of Rolls Royce on the grid, personally wouldn’t want one but did like the colour and the numberplate! 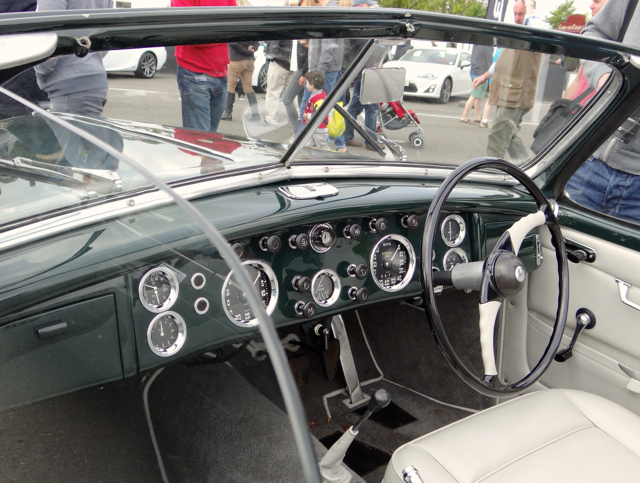 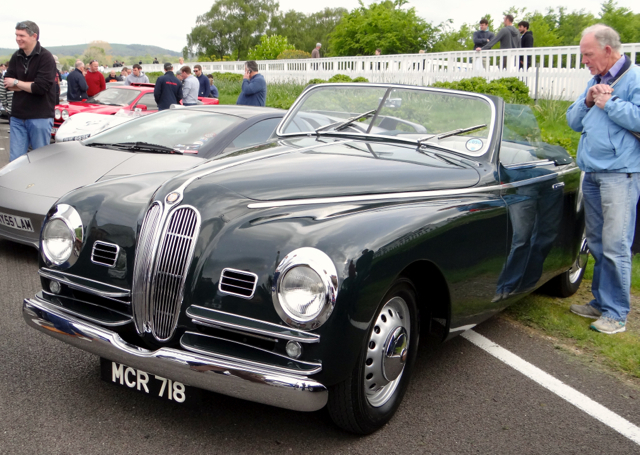 After musing about which car we would take home if we’d won the lottery, we came across this rather spectacular Bristol, the bodywork and interior was spectacular and it was definitely the car I’d have taken home. 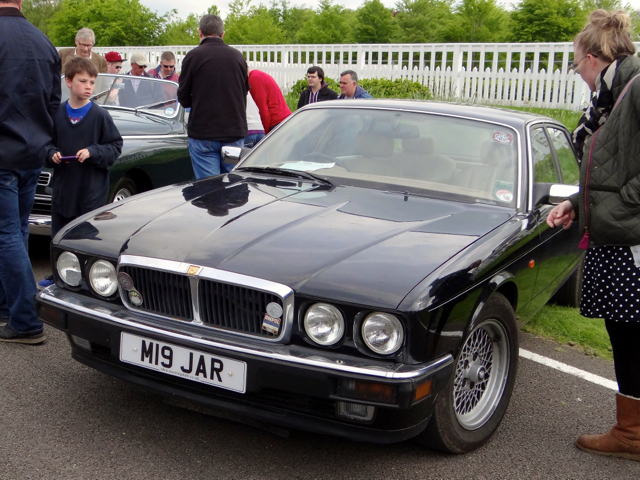 Parked next to the Bristol was this rather scruffy looking Jaguar, in fact I overheard somebody say ‘it looked like it had been dragged from a lake’, however the paperwork revealed it was actually rather special and was one of the few XJ40’s fitted with a V12 and truly was a super car of it’s time. 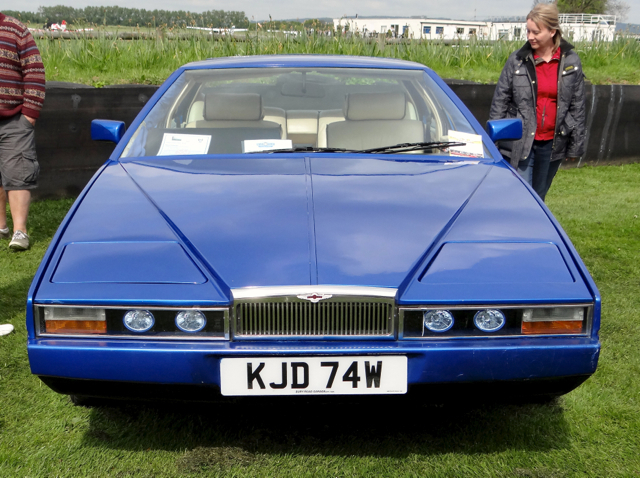 Aston Martin Lagonda – probably the ugliest car of the day although I’m sure it’s owner loves it, a real ‘Marmite’ car with it’s 70’s styling. 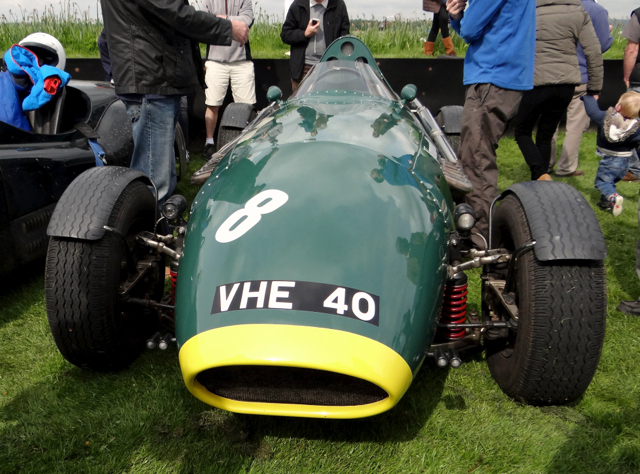 James always get rather annoyed about the number of ‘kit cars’ at Breakfast Club but if you are going to have one it might as well be a rather fun and good looking Vanwall look-alike. 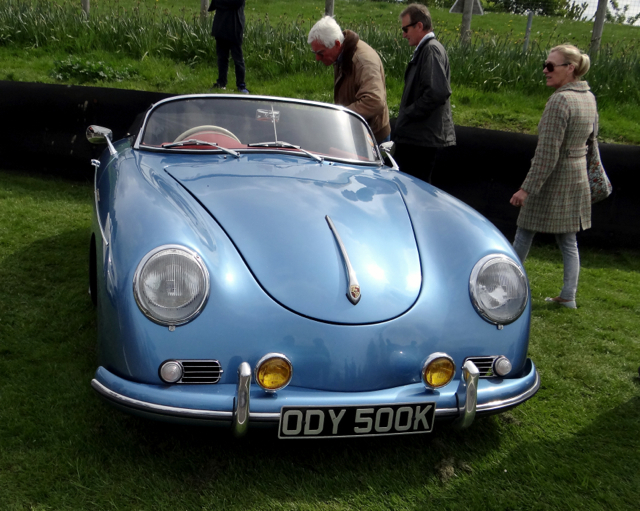 Or if I was going to have one – a Porsche Speedster kit, with it’s beautiful almost illustrated cartoon sportscar lines. 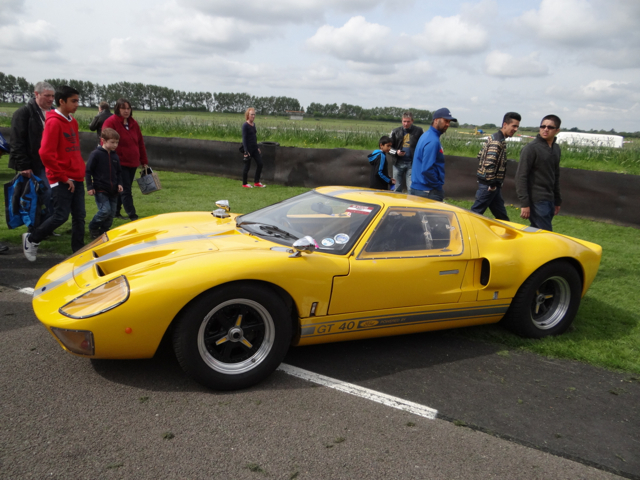 Or a bright yellow ‘GT40’. 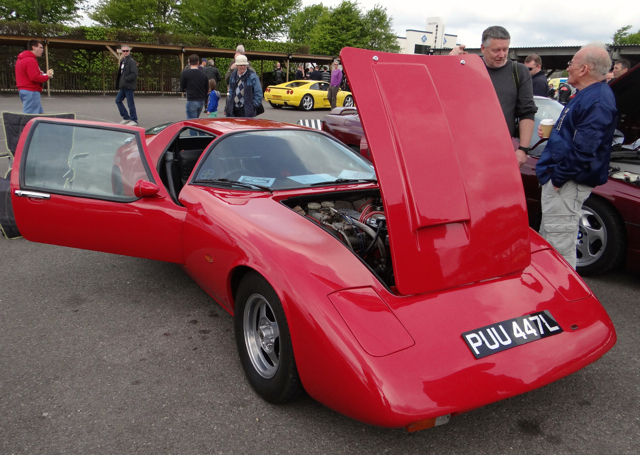 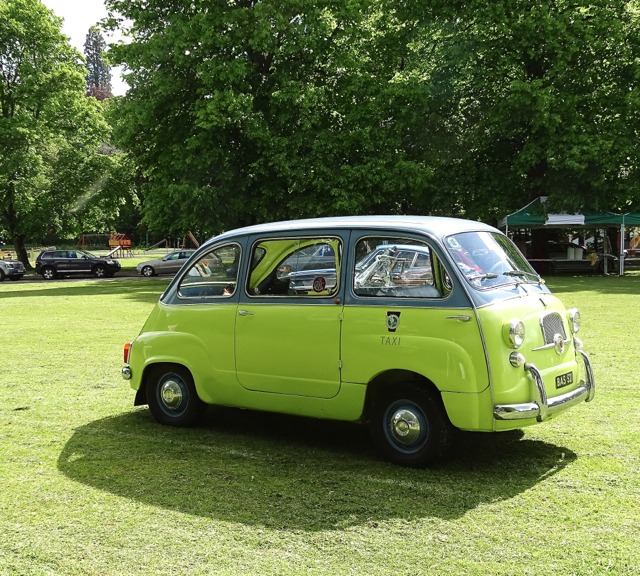 Slightly hidden away in the paddock was a lovely Piper, a specialist car built in the 60’s and 70’s. 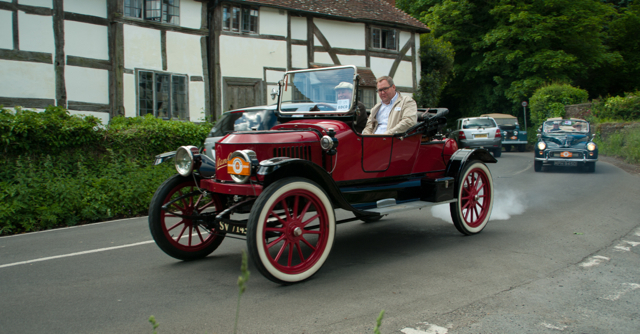 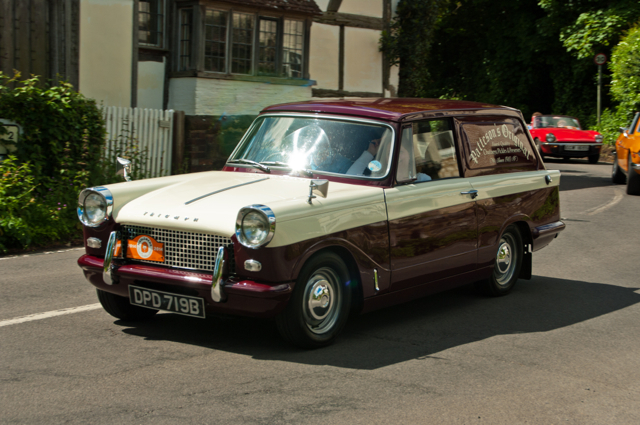 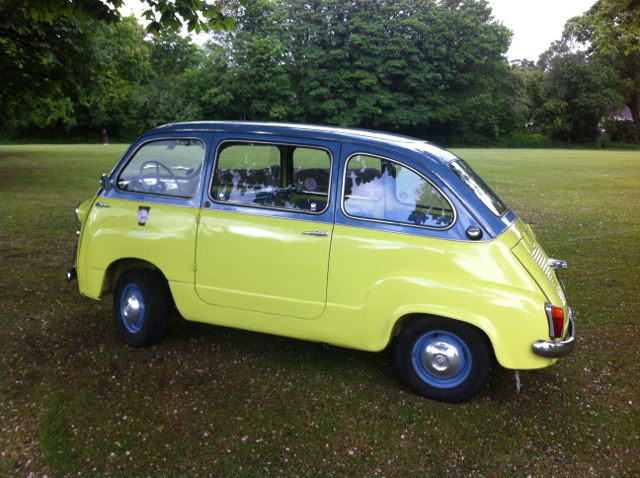 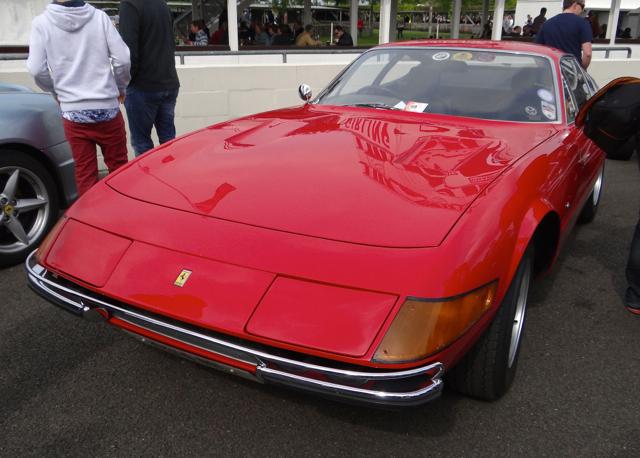 Only around 80 road cars were made. 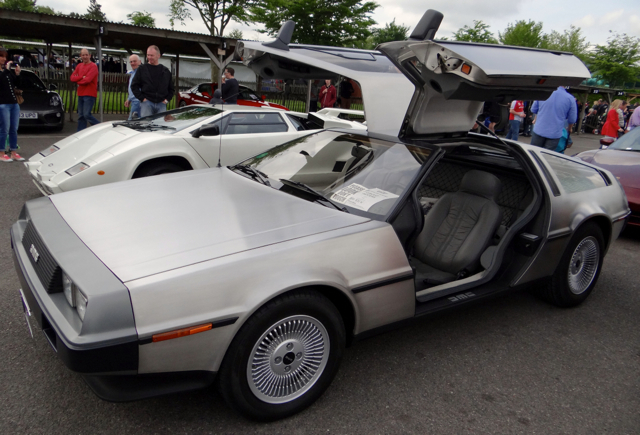 and the 80’s ‘Back to the Future’ DeLorean On the grid, next door neighbours demonstrated the change in super cars over the years with an Arial Atom parked alongside a Ferrari Daytona. 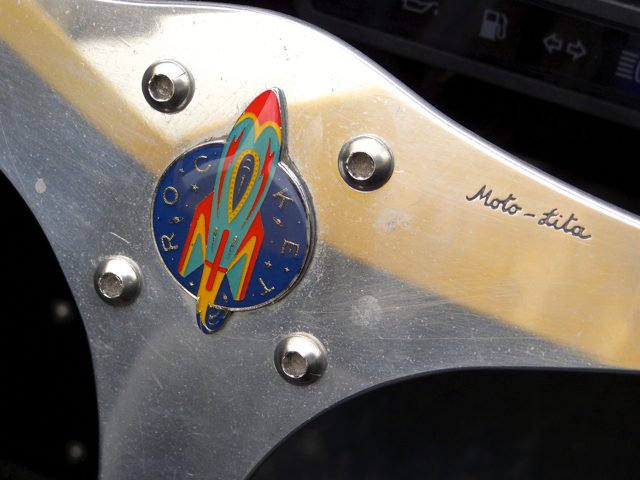 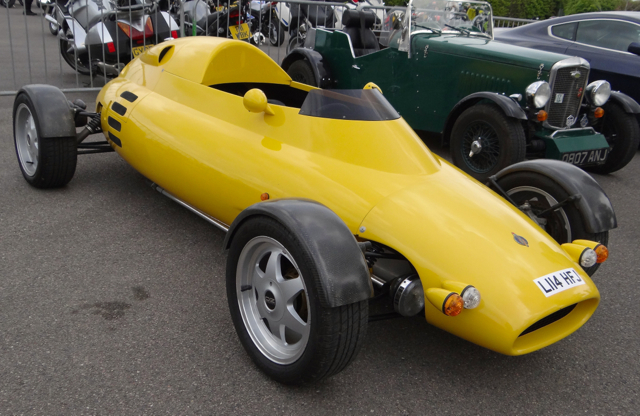 Finally hidden away amongst the bikes parked in the Chicane carpark was the real treat of the day – Gordon Murrays Rocket, an ultra-lightweight, open cockpit roadster powered by a 1-litre motorcycle engine, which has an appearance similar to that of a 60’s era Grand Prix car. 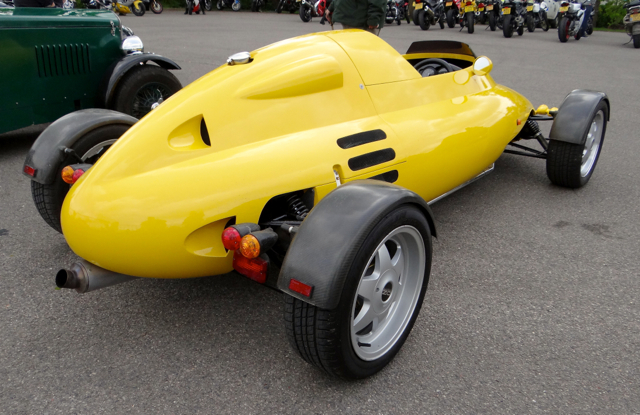 Looking like a pure single-seater, it actually could accommodate a passenger in tandem with the driver. 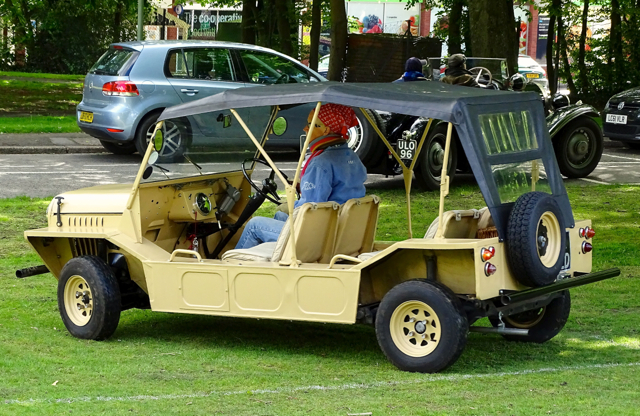 This seat was located beneath a removable cover. 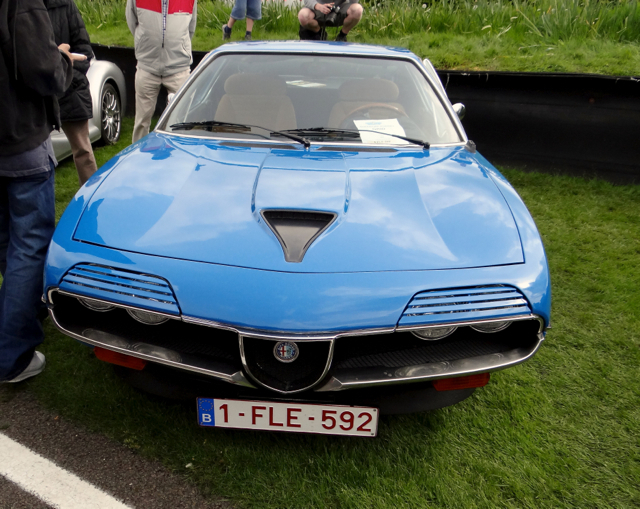 Only around 50 were ever made and as of the lightest road cars ever conceived, weighing in at under 400kg, at the time of its launch in 1992, it was one of the fastest accelerating cars in the world. 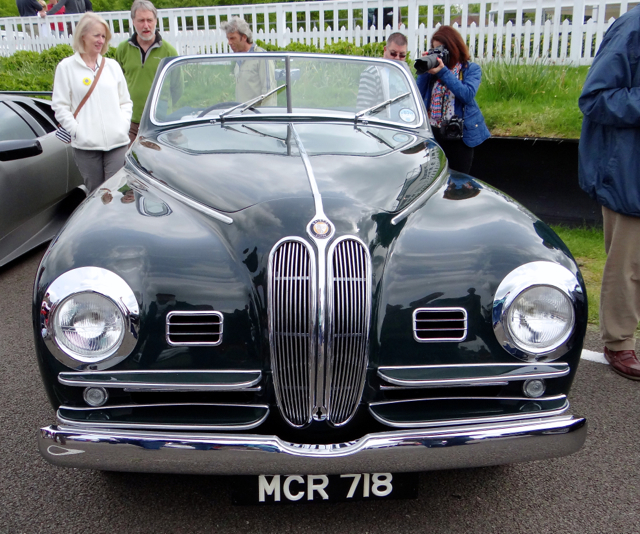 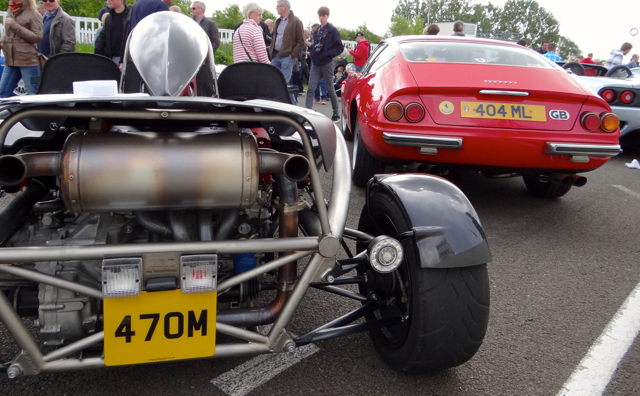 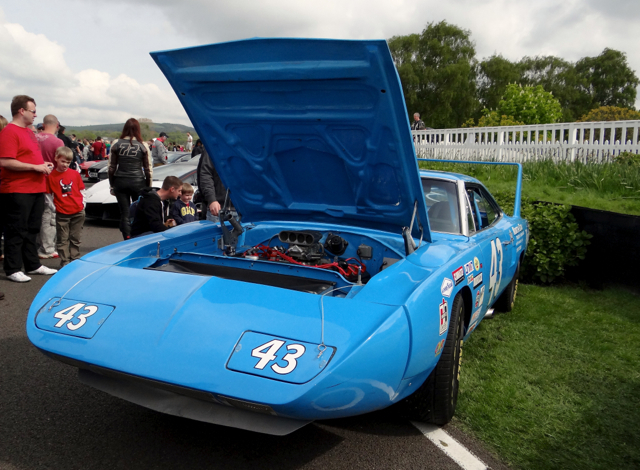 Just maybe lurking in the background away from the crowds we had seen a true super car? 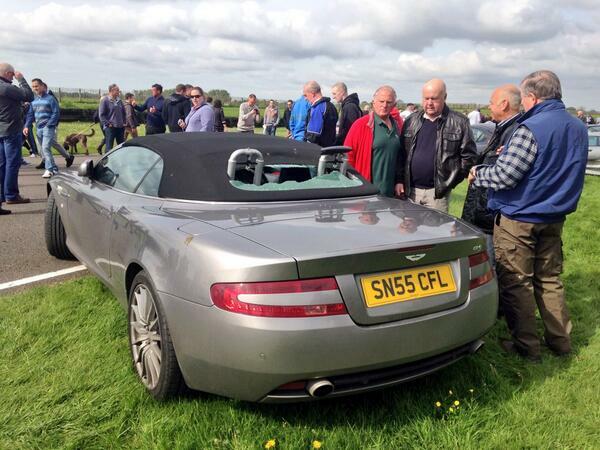 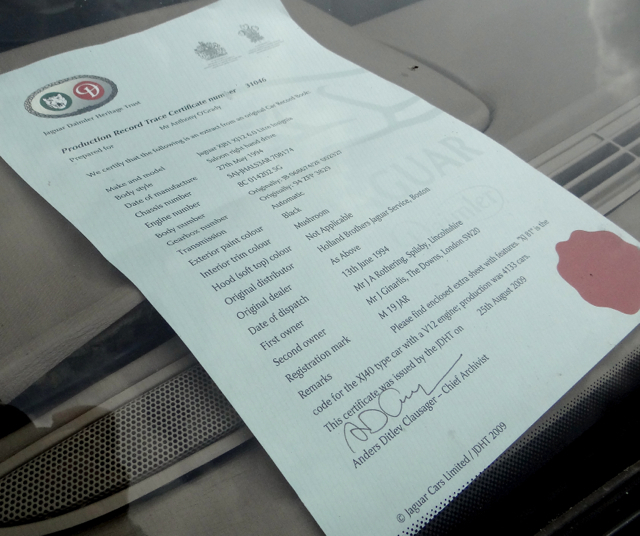 PS Whatever you think about super cars everybody (us included) seemed to have a good time, other than the poor chap in his Aston Martin DB9 whose emergency anti roll bars seemed to have deployed accidentally through his rear window – oops!